Hi there! I had a new video go up on my channel the other day, a crochet flower! 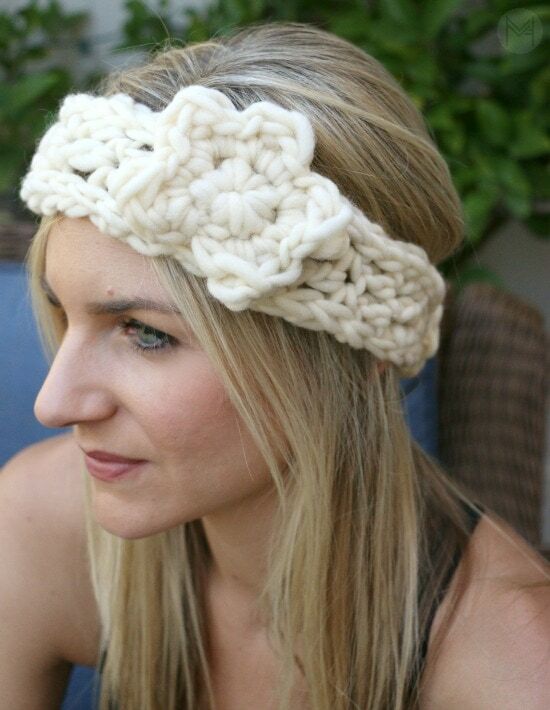 It’s a follow up to the crochet headband video, so that you can add this flower if you like. 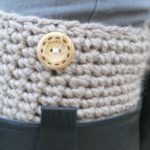 Also, I show you how to add a button to the back to make it removable. 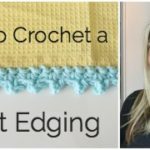 Crochet hook that coordinates with you yarn choice. 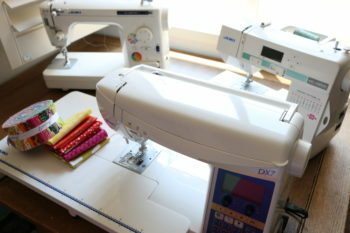 ch 1 and make petal in the first stitch – you will make 5 petals going around. After the last petal, finish off and leave a long tail for attaching button or sewing onto your project. What do you think of this project? 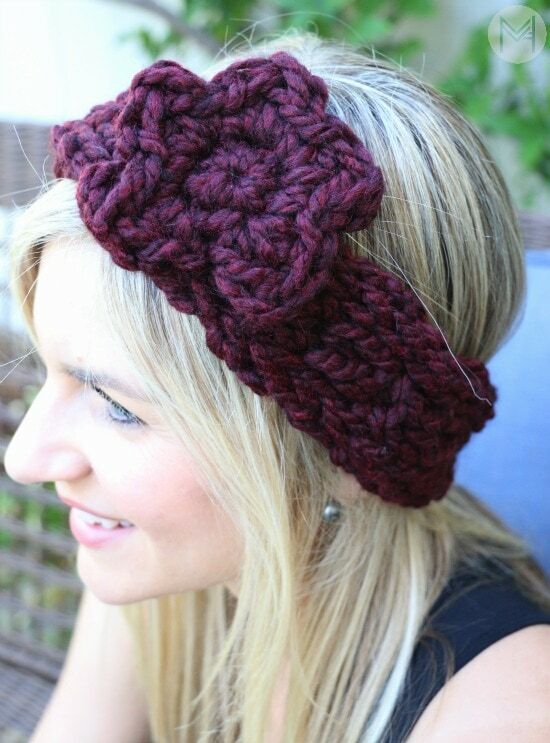 Leave me a comment and let me know where you will be adding this flower, a headband? hat? bag? Love your patterns hope see more in future !!! I was wondering if you have a tutorial on making half-finger gloves and fingerless gloves?? 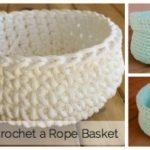 I would love to learn how to make them. I am one that learns by seeing it done instead of reading a pattern. Thank you for all of your tutorials. 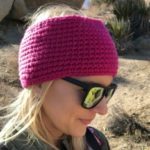 I decided to teach myself to crochet, and I started with your YouTube channel – 3 weeks ago. The first thing I made was this headband/earwax mer and flower! I just got done making my 3rd Headband and finally concurred making the flower!! It wasn’t hard I was just over thinking it and trying to hard! Magic circles had always messed with me but now I have it! On one of the flowers I put the same color button in the center of the flower to match the headband button. My button color was purple , so it looked very cute. 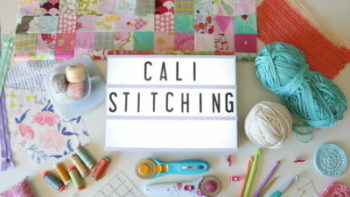 This is cute, quick, and incredibly easy! A button for easy removal is a great idea, too.